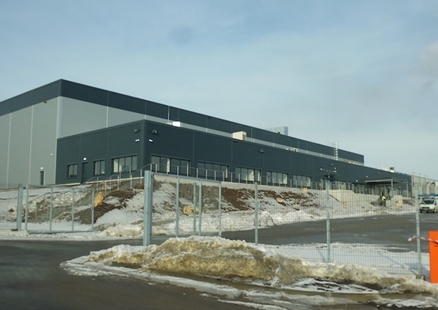 With the participation of the BatiPlus engineers, the construction of the Ficomirrors automotive industrial hall has been completed in Dąbrowa Górnicza. The scope of the investment included the construction of the production and storage hall along with office and social premises, the necessary technical infrastructure and the land development with the parking lots and access roads. The BatiPlus team conducted the investor’s supervision over the construction of the object and the supervision of the investment settlements. The investor – Ficomirrors Polska company is a subsidiary of the Ficosa International Group, which is an international corporation operating on the market of research and development as well as production and commercialization of systems both for the passenger and goods vehicles. The Ficosa Group operates in 19 countries in Europe, North America, South America and Asia whereas its headquarters is located in Barcelona. Fiat, Alfa Romeo, Lancia, Iveco, VW, Ford, Skoda, BMW as well as the plastic reservoirs for Audi, GM, KIA, VW, Ford.